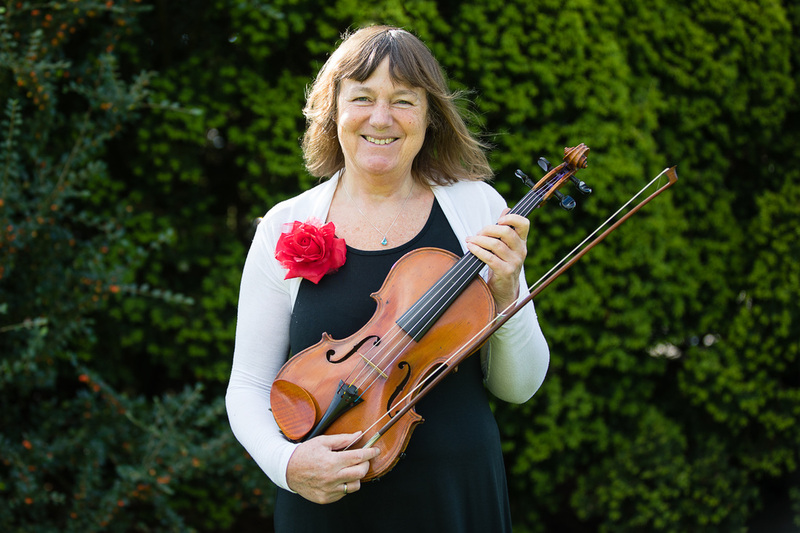 "Thank you so much for a great day of fantastic music"
We are qualified string specialists providing wonderful string music for every special occasion. We play as a violin duo known as The Elbow Swingers! 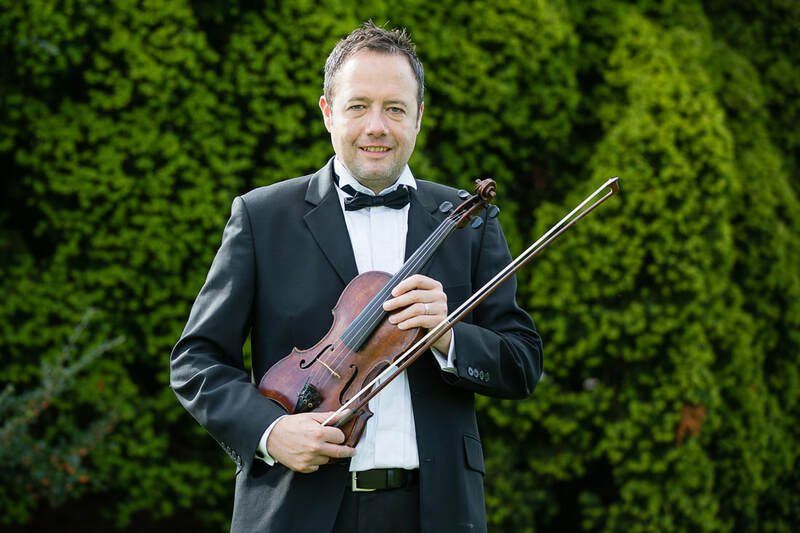 Solo violin or as a string quartet known as Quartet Cabaret for wedding ceremonies, civil partnership ceremonies, wedding receptions, parties, and corporate events. We even perform at care homes throughout the North West and love to entertain the residents. 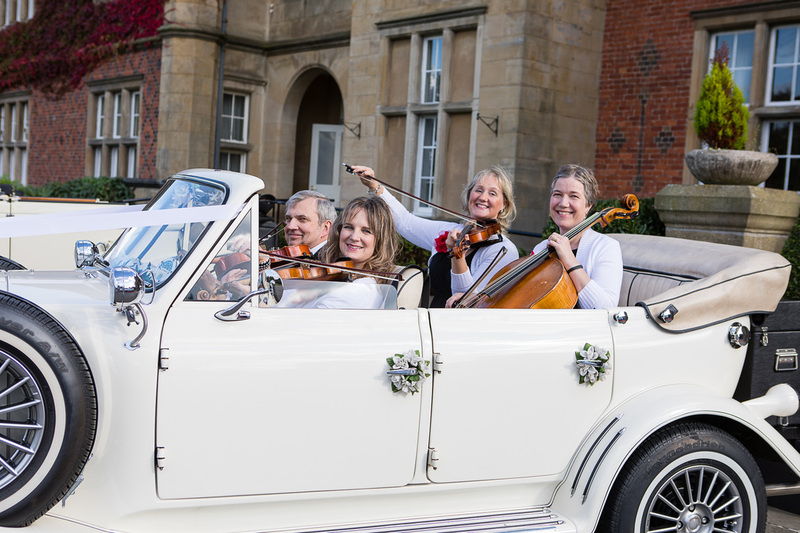 We have had the wonderful opportunity to perform at beautiful wedding venues throughout Cheshire and Staffordshire and throughout the North West. We are dedicated to providing the very best quality and variety of string music including all musical genres to suit all tastes and to appeal to all ages. 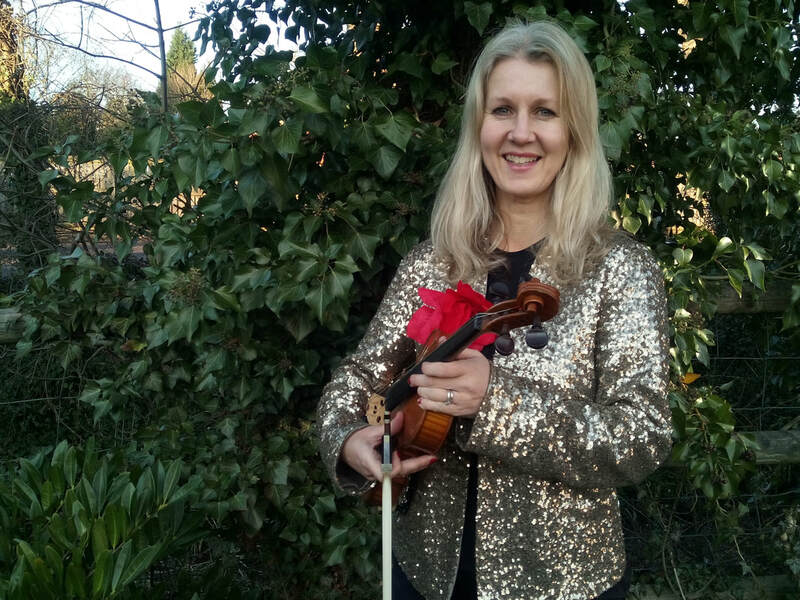 From baroque to rock and pop, classical to jazz, we hope to create the perfect wedding entertainment with a touch of sparkle to accompany and compliment any occasion. Dates are filling up fast for this year already and we have already quite a few for next year too. So please call us for a quote and we can save your date for you in our diaries. We hope you enjoy browsing through our pages and look forward to meeting you this year! "A magical and personal touch to our special day"
Wedding Fayre! 11am - 4pm. Please come along and listen to us playing live. There will be lots of wedding suppliers to talk too and you can listen to some beautiful music whilst sipping something bubbly! Watch and listen to our demo videos!